Trivia has arrived to Short Path! Bring your friends and join us every other week on Thursday evenings at 8pm! 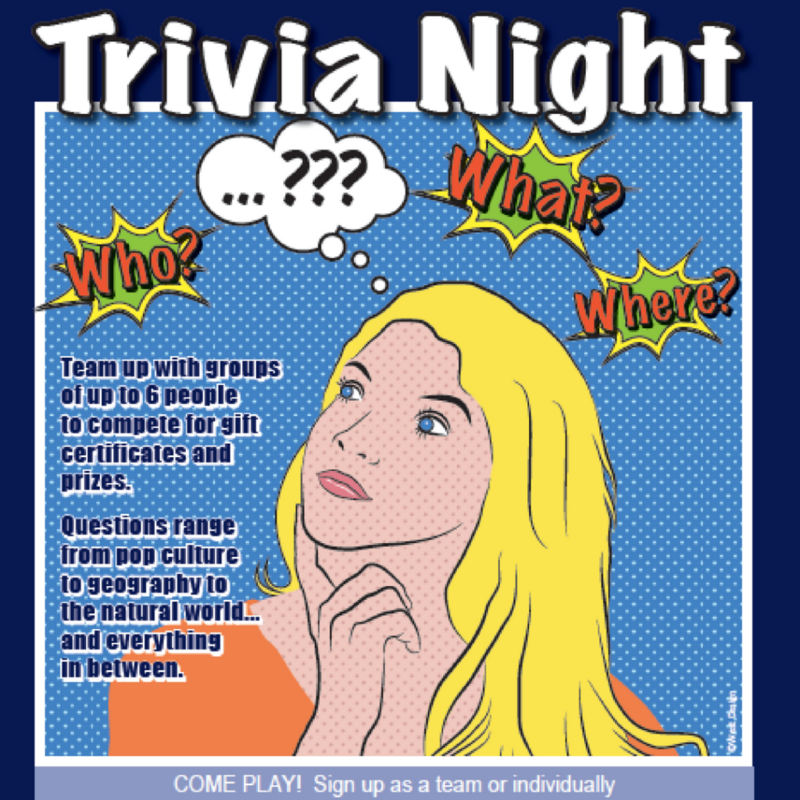 Team up with groups of up to 6 people to compete for gift certificates and prizes. Questions range from pop culture to geography to the natural world and everything in between. Bring your own food or purchase snacks from behind the bar.